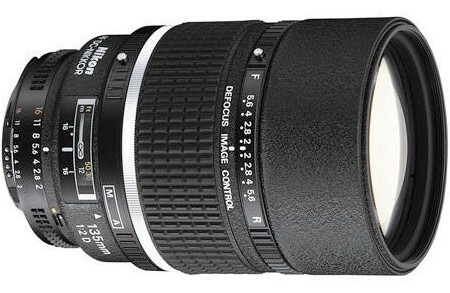 The big brother of the AF DC-Nikkor 105mm f/2D, the AF DC-Nikkor 135mm f/2D has all the good things that the 105mm has except that it has a longer focal length for a better reach. Unlike popular misconception, this lens is not designed for softer focus but controlling the amount of softness (or blurriness) that you can achieve in the subjects that are out of focus. There is a dedicated control ring. When you’re shooting, you will need to set the right to either F (stands for foreground defocusing) or R (Rear or for background defocusing). The more you turn the ring to right or left the more the foreground or the background respectively becomes out of focus. 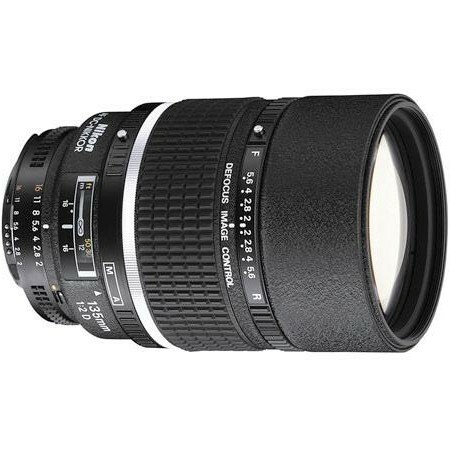 Nikon has provided Rear Focusing technology in this lens, which means that when focusing only the rear lens elements move never letting the lens length to be extended as a result. This f/2 lens is very bright and well made too (most of it is metal which is a deviation from the general plastic made lenses). It has a total of 7 lens elements arranged in 6 groups and has a 9 blade rounded diaphragm. Dimensions (Length x Diameter) 3.1 x 4.7 in.